We have many services to offer you to get rid of your unwanted items including Estate sales, tag sales, and other forms of selling assistance. We do everything from estate clean outs and junk removal to cleaning out attics.We provide all our own labor, trucks, and plastic bags to do a clean-out. We have the equipment to remove most items very easily. Our professional drivers arrive in our empty vehicles at your home or business and friendly, uniformed drivers present a price list up front before any loading begins. For most items, we charge based on volume and the space your junk takes up in our vehicles. 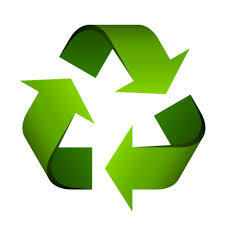 In some cases, special recycling surcharges imposed by your local authorities may apply. Our prices are clear and upfront. You'll never face hidden disposal fees, weight costs, or unexplained surcharges. We are here to help you clean up and we do this with professionalism. We can help de-clutter any location from your garage or attic to an entire wall to wall estate clean out. We will leave your home broom swept. Our services include all the labor, truck and supplies to do the entire job. We bring the equipment necessary to remove your items. Larger items such as pianos etc. can be removed at an additional cost. Paint and other chemicals can also be remove.